A specific gel for foot care. 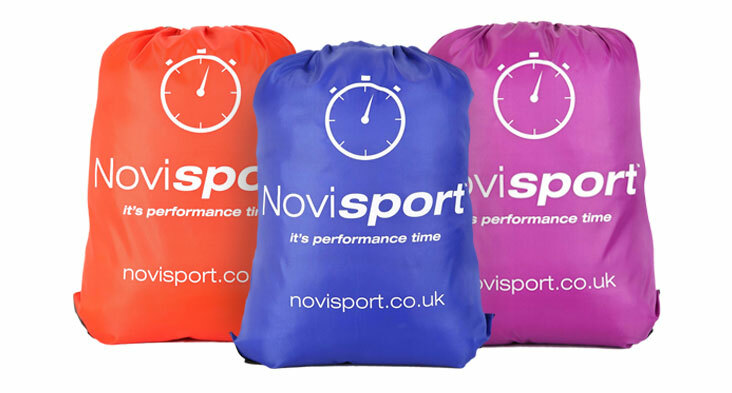 Specifically designed to treat connective tissue damaged by friction and stress suffered by the foot from sports footwear compression and rubbing. 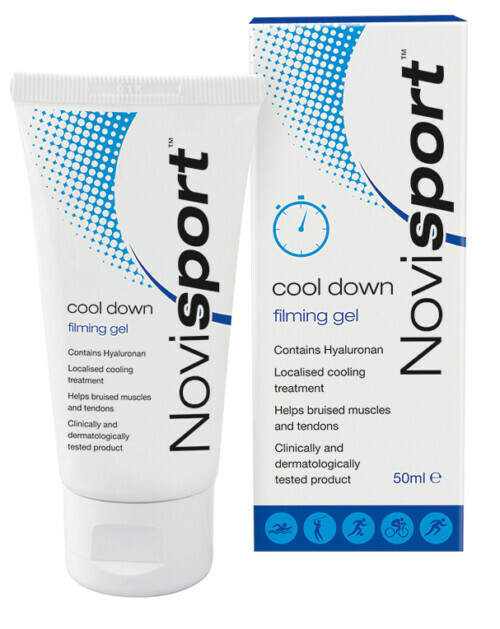 Novisport Feet Relief Gel works by performing an effective calming & soothing action and is rapidly absorbed rapidly helping with the reduction of swelling and soreness. The moisturising components in Novisport Feet Relief Gel also gives a soft, pleasant feel and leaves the skin smooth and does not require much massaging. Hyaluronan, Glycolic extract of calendula + glycyrrhetic acid + bisabolol (a calming/soothing action reducing skin inflammations, performing a softening effect which is especially useful in the most delicate skin areas), Glycolic extract of arnica + glycolic extract of witch-hazel (with anti-swelling properties, they help to rapidly alleviate pain. These adjuvants are regularly used in the treatment of acute traumatic lymphoedema (caused by bone fractures, pulled muscles, acute capsuloligamentous disorders or ligament laxity), hard post-traumatic lymphoedema (caused by bruises or sprains), and lymphoedema caused by plaster casts or lengthy immobilisation), Vitamin A (antioxidant action which protects the cells against aging and the degenerative damage, promoting tissue growth and repair (epidermal level). 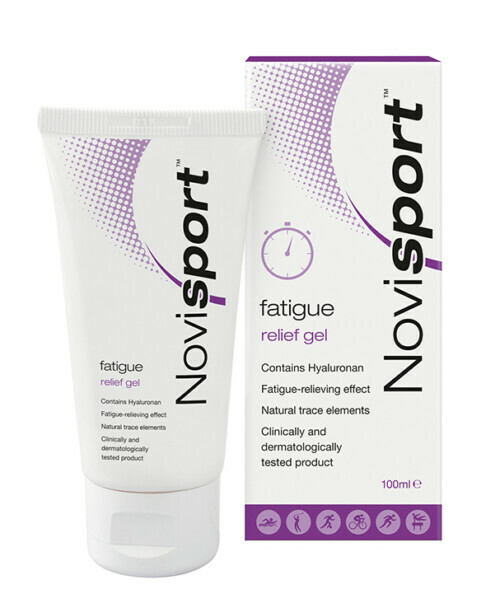 Together with Hyaluronan, which acts at dermal level, it makes Novisport Foot Soreness Relief Gel particularly useful in cases of de-epithelialisation caused by minor traumas). Since the spring of 2011 my knees have hurt me a lot. I had to stop work and I have had many treatments including injections which helped for a few months but cost me a lot of money …my daughter discovered your product Novisyn+ and it has been a miracle for me. After just 2 weeks I am feeling much better. This product is amazing! I led a sporting life and my knees were starting to pay for it. I saw Novisyn being advertised at a local craft fair and thought, as you do, another gimmick. So wrong! 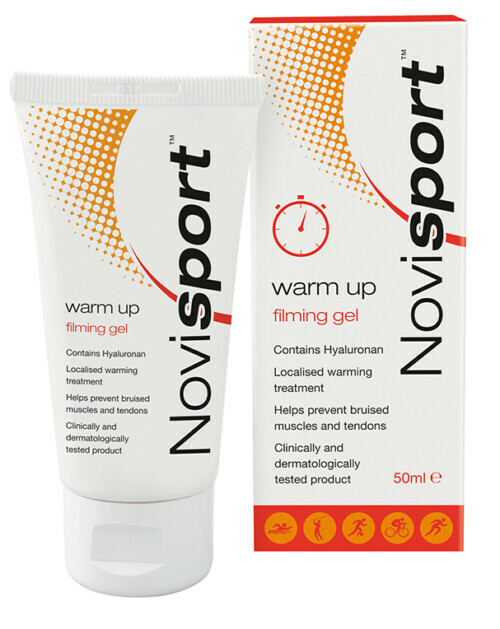 …after the first 5 days I noticed my fingers didn't ache and now 3 months later, I'm running up and down the stairs… I would definitely recommend this product to anyone who is suffering.